If you work in the Atlanta tech community, chances are you know Joey Womack. 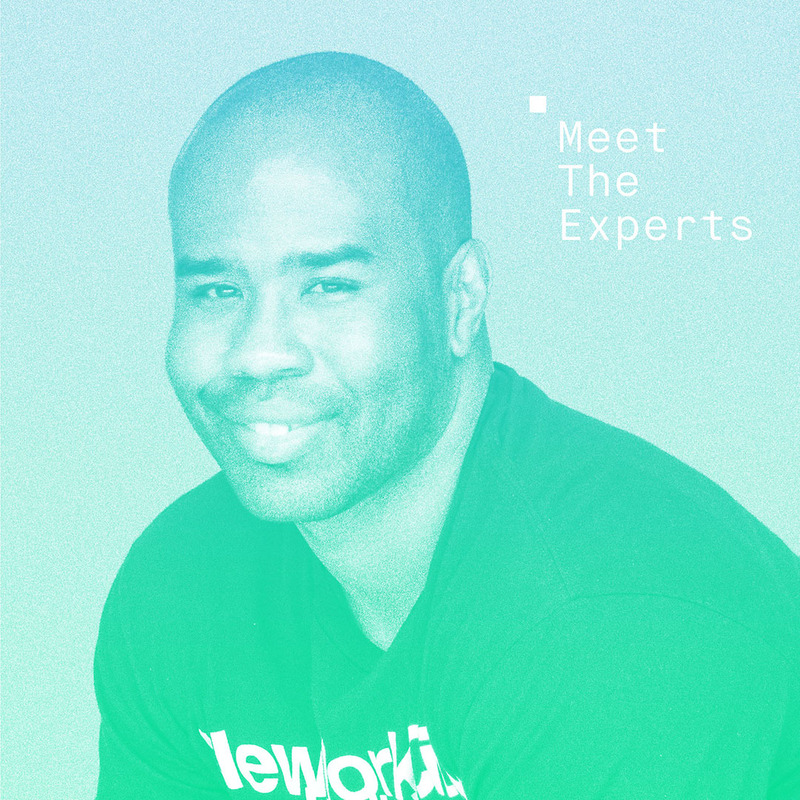 In this latest installment of our Meet the Experts series, we chatted with Joey, founder of Amplify 4 Good and Goodie Nation, about life in Atlanta, social impact entrepreneurship, and finding your calling. You are one of Atlanta's best known social impact entrepreneurs. What inspired you to get involved in this line of work? For me, it was a calling. It’s a very long story, but I'll try to keep it short. I'm from Mobile, Alabama, but my mother's from Montgomery, Alabama. She grew up in the same neighborhood as Martin Luther King, Jr. My grandmother went to the same church as MLK. Her sister-in-law was in Coretta Scott King’s house when it was bombed, and my great uncle was one of MLK's photographers. Growing up in that aura, I always thought I was going to be different. I went to school to be an accountant but in my second-to-last year of business school I literally heard a voice while I was in my car. I was pulling out of the parking lot -- parking space, actually -- and I heard a loud whisper in my left ear. The voice said two words, "Do it." And I knew exactly what "it" was. Over the next two years, I continued to hear that voice. I developed an urge to take what I learned and share it with black entrepreneurs. So when did you start Hackathon for Good? In 2013, I decided to leave my startup alone and find a business model for entrepreneurship. I got this idea to have a Hackathon for Good. I asked myself: “Why are there so many problems in black communities when there's so much money being invested in social impact work? I realized we have everything we need, but we're highly inefficient in how we deploy these resources. Oftentimes, people duplicate efforts. The idea behind the Hackathon for Good was that we’d take 10 amazing nonprofits and solve some of their problems through technology. The day after I came up with the concept, I received notice that I’d been accepted into the HIVE Global Leaders Program, based out of San Francisco. It was the first-ever cohort they had. Within that cohort, there was an Olympic gold-medal winner, a young woman who wanted to become the first female prime minister of Nepal, and a 27-year-old man who planned to become the prime minister of India. On our first day, the program founder asked us: How can you help one billion people? And I actually took that challenge the wrong way. He meant collectively how could thirty-some-odd people in the room help one billion people? But I understood it to mean: How could I, Joey, help one billion people? For the first time ever, I began to think on a global level. I went from thinking about how I could help black people in the U.S. to how can I help people in need all over the world. That's how I came up with my goal to help one billion people by the year 2035. That is quite an ambitious goal. But, it seems like you're off to a pretty good start. Why did you choose to begin working toward that goal in Atlanta? I actually moved from Tallahassee to Atlanta in July 2005 because of my nightlife startup. Tallahassee's a college town. It's great and all, but it's limited. Atlanta’s a fast-riding city and I had family here and tons of opportunities, especially concerning nightlife. That's why I came here originally. I’ve gotten offers to go out to California but my response is: Why? Atlanta's a great, great city in terms of talent level. It's affordable and we have access to world-changing companies and organizations, from the CDC to the ALT airport to Coca-Cola. It still has a small city feel to it. You can get to know people relatively fast and rise up the ranks as an accelerator much faster than you would in other places. You mentioned some of the great organizations and companies that are headquartered in the Atlanta area. With both Goodie Nation and Amplify 4 Good, you've partnered and worked with a number of them. Is there's a project that stands out to you or that you're most proud of? There are a few but let tell you about one. With Amplify for Good, we produce the innovation program for the ALT airport. It is the world's busiest and most efficient airport. Over 103 million people go through the ATL airport every year. That provides a lot of opportunity. The innovation program is in its third year and we've done things involving loyalty award programs, sustainability, and cargo using technology. That sounds like a really impressive initiative. How would someone new to the Atlanta tech scene get involved in these projects of yours? They should sign up for our email list at goodienation.org and follow us on our Twitter, Facebook, and Instagram. That gets people in the pipeline and We send you a bunch of notices about what's going on. We have three different divisions [to cater to different interests]. One is our Impact division that contains our pre-accelerator. We also have a division that focuses on college students and professors and another that specializes in the K-12 area. Finally, we have programs for college students and professionals interested in frontend development, backend development, digital marketing, and product management. There's a role for everybody to play in solving some of the world's biggest problems. People can volunteer with their particular skill sets. From an event planning standpoint—as well as a mentor and a social director—there are tons of ways people can get involved. But everything kind of starts with our email list and social media accounts. We're not sure if you would describe yourself this way, but it seems like you're a bit of a serial connector. What advice do you have for either current or prospective Thinkful students about starting off in tech? That's a really great observation. I am a connector, I‘m a convener of people. It's a natural skill that I get it from my mother. She's a human Facebook. She knows a lot of people. She also knows why people should be connecting with one another. I think she got it from her uncle, the same uncle that was MLK's photographer. Oftentimes when I'm talking to people in need of guidance, I say, "Do these three things to really find your life's purpose." "First, look at what you used to do when you were in elementary school. Did you play video games? Did you draw? Did you listen to music? Did you dance all crazy in the mirror with the door closed? Did you daydream? I was the guy organizing the football and basketball games in my neighborhood. So it comes as no surprise that I organize people now." "Second, look at what makes you upset, what frustrates you, what pisses you off." "And lastly, you should look at what your parents or other relatives did well. When you draw upon those three things, you'll start to see what you were born to do." Another approach is to reverse engineer how you got into your original career in the first place. Somewhere within those original choices are clues regarding what you liked to do when you were younger, what you care about, and what your parents could do well. Let's say you're going from marketing to backend development. How did you get into marketing in the first place? Did you pursue a degree in marketing? Why did you choose that degree and why did you choose the college you attended? If you break down why you made these decisions, you may end up going back through 20 major decisions, but somewhere in that journey there is an interesting "Why.” Analyzing this may really allow people to find the opportunities and connections they’re looking for as they transition. data science, and UX design. Thank you for chatting with us and we look forward to staying in touch!"